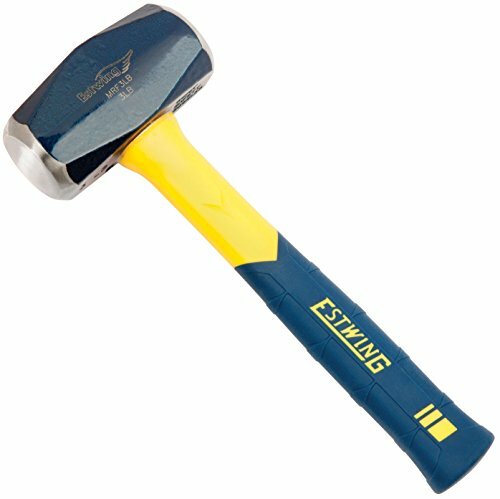 The Sure Strike drilling hammer from Estwing, has a forged steel blue painted head which is hardened and tempered. Both faces are fully polished. Designed for striking cold chisels, brick chisels, punches, star drills, spikes and hardened nails. Both faces are beveled. This drilling hammer has an 11 in. jacketed and textured yellow fiberglass handle which allows for heavier blows in an environment where there is limited swing. A strong reliable tool you can count on. Protect your eyes from flying particles and dust. Always wear safety goggles. Bystanders shall also wear safety goggles. The Sure Strike 32 oz. 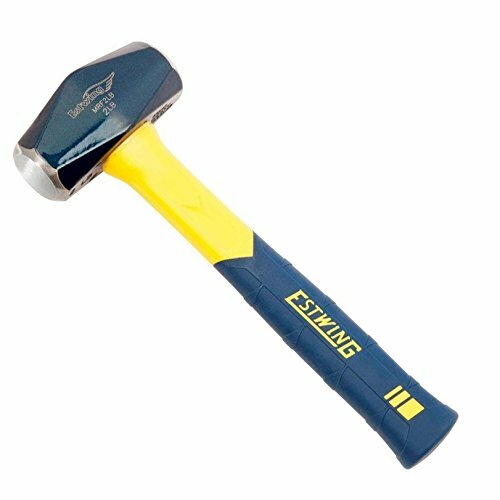 drilling hammer from Estwing, has a forged steel blue painted head which is hardened and tempered. Both faces are fully polished. 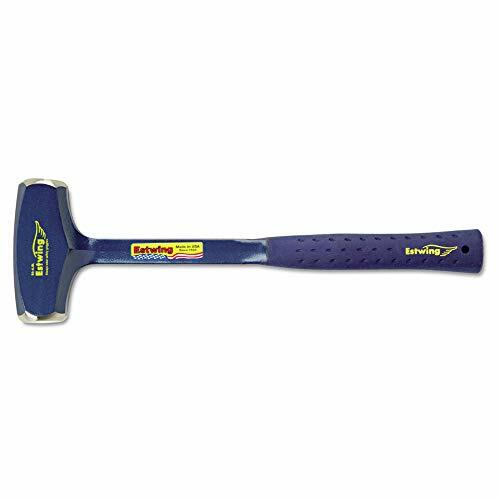 Designed for striking cold chisels, brick chisels, punches, star drills, spikes and hardened nails. Both faces are beveled. This drilling hammer has an 11 in. jacketed and textured yellow fiberglass handle which allows for heavier blows in an environment where there is limited swing. A strong reliable tool you can count on. Protect your eyes from flying particles and dust. Always wear safety goggles. Bystanders shall also wear safety goggles. 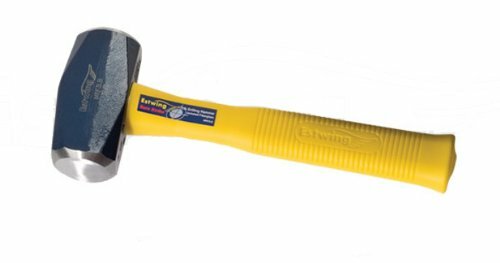 Estwing's long handle Drilling Hammer has a bonded and molded Shock Reduction Grip which offers the utmost in both comfort and durability, while reducing vibrations caused by impact. The head and handle are forged in one piece and have an attractive blue UV coating, both faces are fully polished. 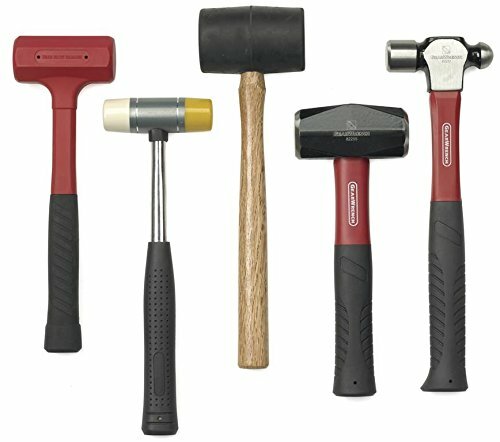 For use with chisels, punches, star drills and hardened nails. Permits heavy blows with limited swing. 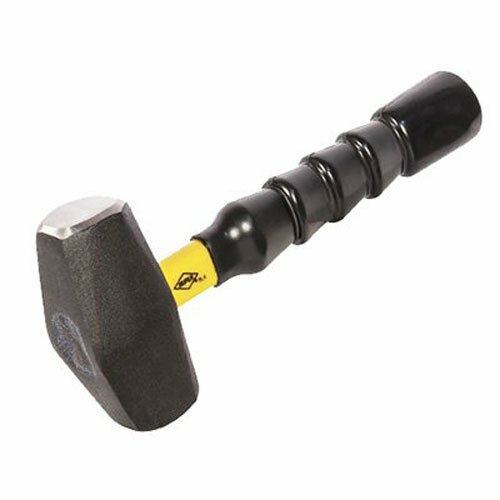 The Master mechanic 3 lb one piece solid forged drilling hammer is great for using as an accessory for your metalworking needs. 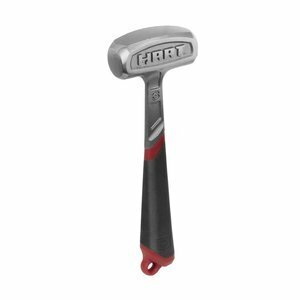 This Master mechanic drill hammer features a fully polished face & neck and a double injection grip handle with anti-shock capabilities for comfortability. 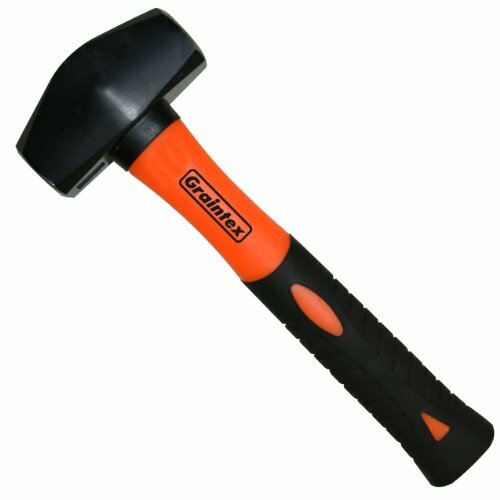 The product is 10" Hand Drill Hammer. Easy to use. The product is manufactured in China. Tradespro Tools by Alltrade Tools LLC is a global leader in the design, manufacturing and marketing of tools and shop equipment. Founded in 1979, the Long Beach, California based firm is privately held, with global manufacturing and sales facilities serving customers on every continent. The company's mission statement: Alltrade designs, markets and supplies tools and shop equipment that meet and exceed our customers' expectations of quality, service and value, while achieving profits to ensure the Company's and its employees' future growth and development. Alltrade offers our customers innovation, flexibility and speed to market. 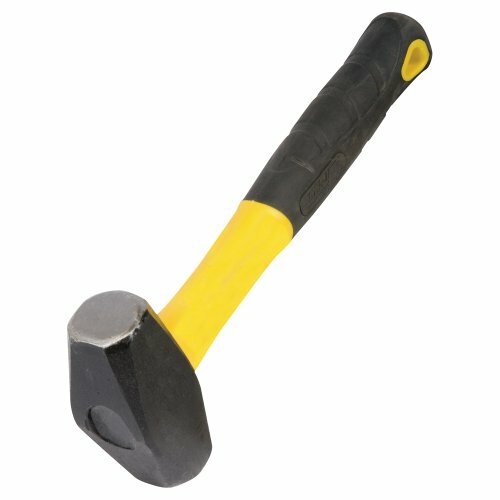 The Ludell Double Face Hand Drilling Hammer for commercial industrial or residential use.This Drill Hammer Comes with 10.5-inch long Fiberglass Handle. Shock absorbent -Inchpoly guard-Inch for overstrike protection. 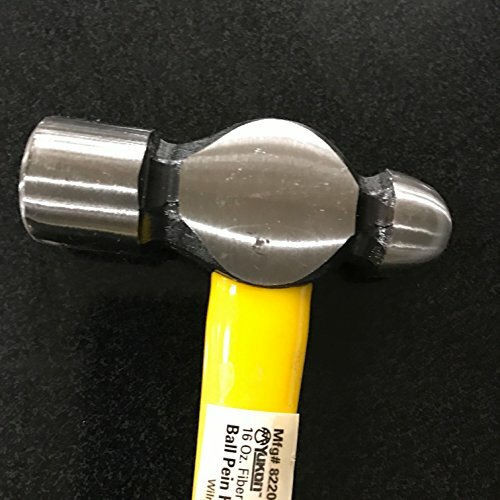 Forged polished steel head with fiberglass handle. Great for drilling. Sold as each. 2-pound head weight. 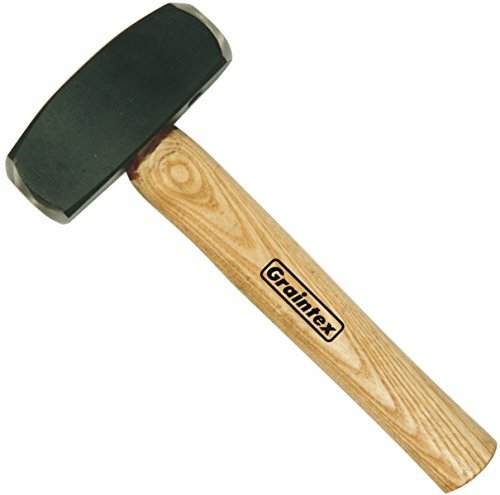 4 lb hand drill hammer with hickory handle. The heads are drop forged with machined milled face. 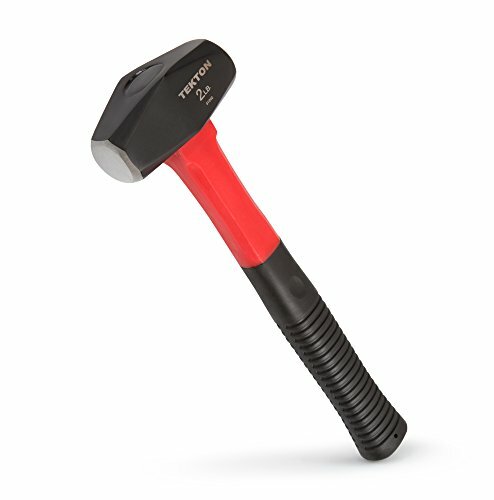 Klein Tools' Hand-Drilling Hammer has an extra-heavy, forged steel head. The wooden handle has a special treatment on it that removes handle moisture and replaces it with oil. That helps eliminate the effects of extreme temperatures. 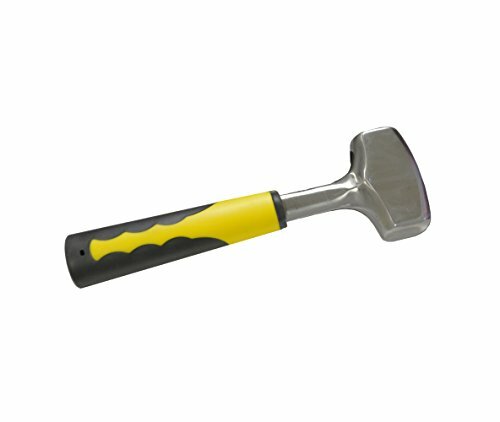 Hardened and tempered head for added durability and long life. Short handle for working in close quarters. Select hickory handle, triple-wedged and lacquered. For more than 160 years, Klein Tools has manufactured premium-quality, professional-grade hand tools that deliver the performance, durability and precision needed to get the job done right. Our family of engineers, workers and craftsman continue to put six generations of expertise into every tool we create by using only the highest quality materials, superior workmanship, and keeping manufacturing as close to home as we can. Klein isn't just the name of our company, it's also our family name. And since we're an American company that's family-owned and family-run, you know you can count on us to be here tomorrow. Klein Tools doesn't just make great products, we make great products that stand up to the demands of the professionals who use them every day ... Since 1857. Warranty: Klein offers a lifetime warranty on material defects and workmanship for the normal life of the product. Deliver a powerful, sure strike in comfort with the TEKTON 31202 2 lb. Drilling Hammer. Made from high-strength, lightweight fiberglass, the virtually unbreakable handle core naturally dampens stinging vibrations. A poly jacket completely surrounds the core and protects it like a bulletproof vest, absorbing the impact of missed strikes. The soft and comfortable rubber grip features an aggressive, non-slip tread to stay put in your hand. 4x4 Post Anchor HEAVY DUTY Cast Aluminum Structural - Ornamental Heavy Duty Cast Aluminum 4x4 Post Anchor for mounting on Concrete or other stable surfaces Handsome yet rugged Post Anchor will complete your project in "Style" The Post Anchor is furnished BLACK POWDER COAT - to coincide with your style or design. The 4x4 Post Anchor is mounted with a 1/2" bolt/lag in recessed hole base of Post Anchor is made to drain away water to allow the post to breath and not Rot. The Post Anchor for 4x4 lumber is ideal for any climate hot/Cold or Wet/dry Guaranteed against breakage and will out last your projects life expectancy. Top Quality Aluminum ensures rugged Durability. Post Anchors are Available for 6x6 Post and 8x8 Post also; Please call for special custom Post Anchors we are able to design one of a kind designs if desired. 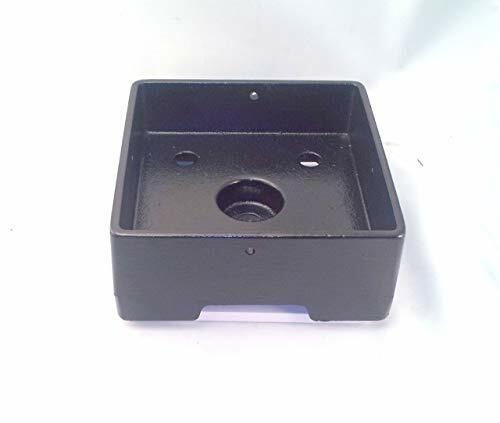 Solid cast aluminum one piece post anchors Guaranteed never to rust 3/16" thick side walls and mounting surface Black Powder Coat finish for ACQ lumber Higher exterior exposure value than galvanized Guaranteed against breaking or cracking Industrial quality finish - made in U.S.A. SIZE: 4x4" Mounting hole- Actual size is 3.5" x 3.5" fits standard Pressure Treated Lumber CAPACITY:16,000 Lbs. Weight: 2.00 lb. Solid Steel Drilling Hammer. 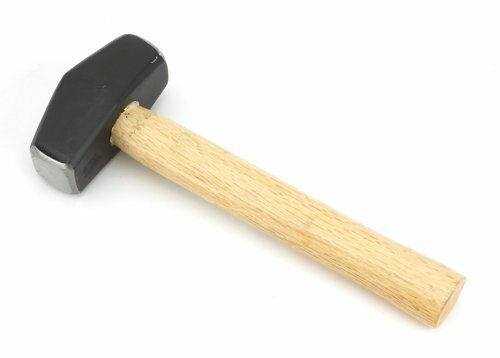 2-Pound Mallet. Overall Weight: 2.75 Pounds. 2-Speed range for high speed drilling or high torque applications. Soft grip handle and Two-finger trigger for increased comfort and greater control. This product is made of high quality material. Ajax sets are designed with the professional in mind. From the Master mechanic to the body specialist, these sets are used in a wide range of professional applications.